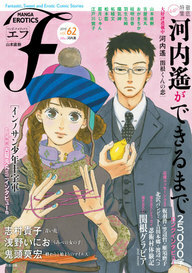 “As the magazine industry changes and old models are eclipsed by new, so, too, must YEN PLUS change, and it is with that in mind that I can announce officially that the July 2010 issue of YEN PLUS will be its last in print. More details are to come, obviously, but it’s certainly an interesting development. In my opinion, the more digital anthologies, the better. 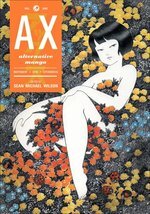 Update: Gia (Anime Vice) Manry gets some more details from Yen Press co-founder Kurt Hassler. I don’t really want to wade into the whole scanlation argument. It’s been ably covered by people on all sides of the issue, and if I started fixating on interesting or (in my opinion) arguable points, I probably wouldn’t be able to stop until Wednesday. I would like to restate my position, which is that I choose not to read unlicensed translations. I prefer to consume comics in ways that directly benefit the creators or at least have the creators’ consent. It’s entirely possible that, had I come of age when download culture was first emerging instead of later much, much earlier or had more of an interest in the kinds of media that were a big part of the first wave of illegal content (like music), I might have a different opinion on the subject. There’s no way for me to know. Another factor is that I tend to prefer reading physical comics rather than reading them on a computer screen. And last, and probably not least, I don’t have the time to read all of the actual comics I want to read, so the prospect of adding a great volume of legally questionable content to the stack isn’t really alluring to me. I would also like to restate that I find those aggregator sites that keep cropping up in online advertisements perfectly revolting, and if I never see one of those ads again, it will be too soon. If people discussing this issue can agree on nothing else, I would hope that we can all concur that those for-profit piracy sites are completely indefensible. But I’m all in favor of people being able to sample series online, provided all of the elements of creator consent and participation are in place. I like sampling comics of varied provenance over at the Netcomics site, and I like plunking down my micropayments for series I enjoy. I also have high hopes for Viz’s various online initiatives, the simultaneous release of Rumiko Takahashi’s Rin-Ne and the magazine-specific SigIKKI and Shonen Sunday portals. 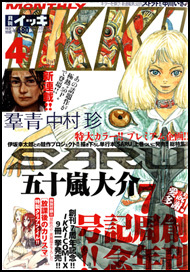 I would love it if Viz developed a similar infrastructure for its Shojo Beat imprint. 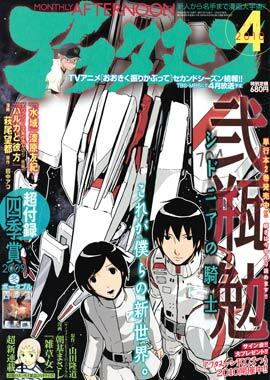 Since the demise of the magazine, they’ve lost some exposure, and I think online serialization would be a good idea. Viz does have a large number of preview chapters available for online perusal, so that’s a start. 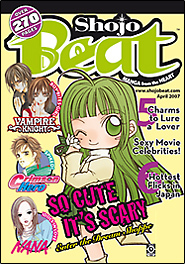 But there is a huge catalog of Shojo Beat titles. Some of them do very well in terms of sales, but some really terrific books could probably benefit from online serialization, especially when full runs get squeezed off of bookstore shelves by longer, more popular titles. Then there are potential publisher rivalries. 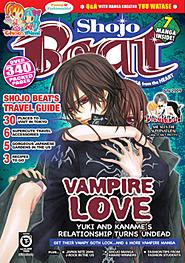 Unlike the Shonen Jump magazine (all Shueisha titles) or the Shonen Sunday site (all Shogakukan), the Shojo Beat imprint is composed of a number of different publishers, including Hakusensha. The Sunday-Jump content divide indicates to me that even co-owning a stateside publishing outlet isn’t enough to negate publisher rivalries, but perhaps the shôjo scene is a little more cordial. 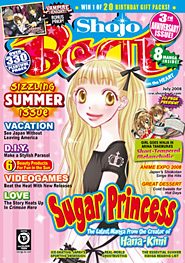 The Shojo Beat magazine simultaneously serialized titles from Shueisha, Shogakukan and Hakusensha, so maybe they’d be a little more open to sharing web space. I have no idea. They might go at each other with broken bottles when not in the public eye for all I know. 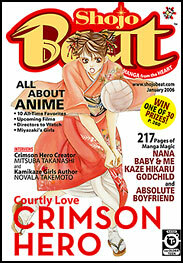 But if they do decide to pursue something like this, I think the Shonen Sunday composition of titles would be ideal – one brand-new title with the allure of simultaneous release, a scattering of series that are new to an English-reading audience rolled out before print publication, and a healthy quotient of long-running or completed series to invite new readers to sample stuff that’s already available. 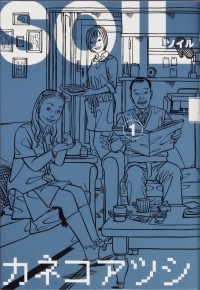 And since Viz seems determined to fold some josei into this imprint, I think an online venue would be a great way to build an audience for that tricky demographic. It goes without saying that I have no idea if this would be beneficial in terms of building audience or reducing piracy. You need only to look through my license requests to realize just how shaky by commercial sense can be. But a number of reasonable people seem to agree that the best way to minimize the reach of pirated content is to offer a legitimate alternative. This would build on an existing infrastructure and engage another demographic. And I won’t lie, it would be cool for me personally, which is really the only reason I suggest anything in terms of business models or licensing decisions. There are lots of Shojo Beat series I’d like to be able to sample in this way. 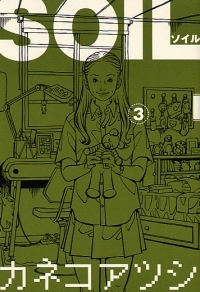 Viz’s SigIKKI site is back up and running after a hiatus with new chapters of my two favorites series, Natsume Ono’s House of Five Leaves and Shunju Aono’s I’ll Give It My All… Tomorrow. Update: Post title changed due to a spam wave. You are currently browsing the archives for the Anthologies category.